The fabled saxophonist, flautist and frontman Nik Turner has always sought to defy the epithet “ordinary”. His showmanship, sax and flute playing and great songwriting were an essential compound in the chemical reaction that gave birth to some of the most influential albums and live shows of the early- to mid-1970s. 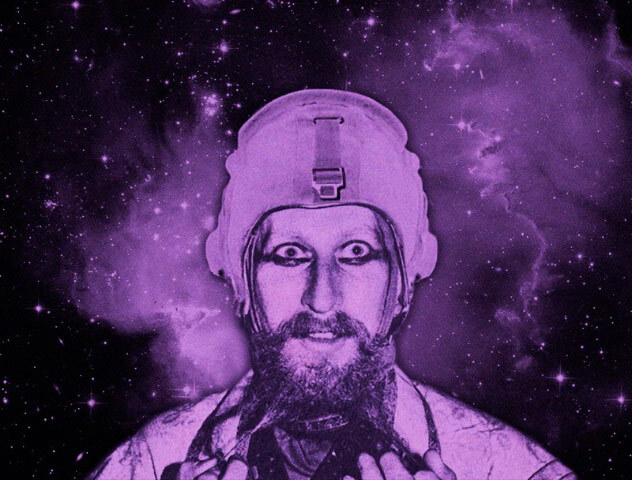 Anyone who has been fortunate to see him live with Hawkwind, or his other projects, such as Inner City Unit, Nik Turner’s Fantastic All Stars, Space Ritual and Nik Turner (ex Hawkwind), will know that he is one of the most exciting, outrageous and innovative performers ever to take to a stage. Turner’s new album, Space Gypsy, appears to have succeeded in working the elusive magic of channelling that extraordinary live energy and capturing it on a studio album. This was always the success of early Hawkwind albums, from 1971’s In Search of Space through to 1975’s Warrior On The Edge Of Time, which were bursting with power and originality of a kind that has not been replicated by many acts subsequently. There are many other good Hawkwind albums, but that period is regarded by some as being the peak of what was attainable by the group. There has always been something wonderfully unhinged about Nik Turner: much of what he does oscillates on the edge of mania, psychosis and hysteria. The paranoia and derangement are still there in their undimmed brilliance on this new album. From the first track, “Fallen Angel Sts-51-L”, a song about the Challenger Space Shuttle disaster, it is clear that this is an album brimming with a rare and potent energy as choppy fuzz guitar, driving drums, creaking mellotrons and swooping audio generators provide the soundscape over which Turner delivers a distinctive monotone vocal. As always, there is a large dollop of oddness present in this music. “I heard it from the Queen and the government too”, from “Joker’s Song”, is the kind of line you rarely hear in rock music. It is both mundane and strange, a different perspective that elevates the listening experience above the ordinary. 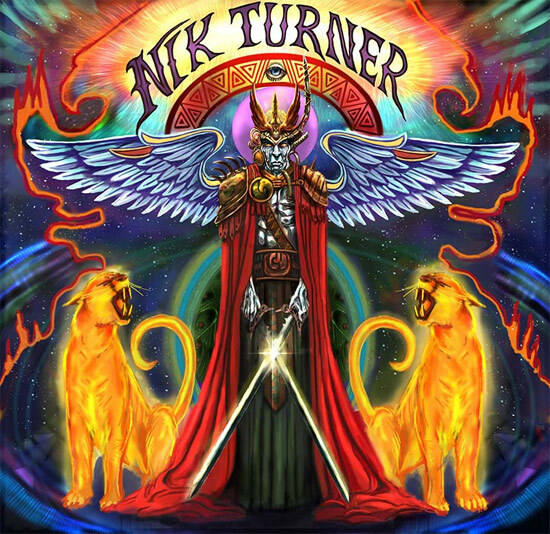 This ability to reframe a genre in new and distinctive terms is one of Turner’s abiding strengths, as an artist who commits wholeheartedly and unselfconsciously to his music and his audience. It is not all a crazed charge through darkest inner and outer space, however. There are moments of mellow psychedelia, as in the floating and dreamlike “Galaxy Rise” or the spooky spoken word “Coming Of The Maya”, with its intertwined and floating Arabic scales. Nik Turner and his band of musicians for this album could be classed as a supergroup. Including guest spots former Hawkwind bandmate Simon House and Gong/System 7’s Steve Hillage, the core line up is: Nicky Garratt (U.K. Subs), Jurgen Engler (Die Krupps); Jeff Piccinini (Chelsea). Working together, they have managed to both turn the clock back, by conjuring forth vibrantly authentic space rock, and look forward, by creating an album that is resolutely modern. Certainly one of my favourite albums of the year so far, Space Gypsy has all the elements that go into making a classic. On it we find an artist, now seventy-three-years-old and with six decades in the music business, writing and recording some of the best material of his career. One of the originators of space rock, he has remained committed to it as a musical form whilst keeping things fresh. The phenomenon that is Nik Turner powers on. Long may he continue.